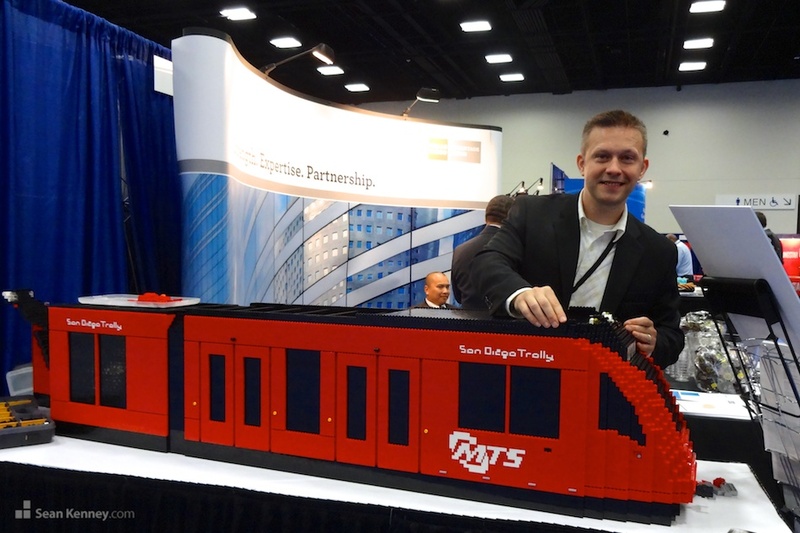 I constructed this sculpture of the San Diego Streetcar over the course of three days at the San Diego Convention Center. The piece was created for Wells Fargo, both as a recognizable local visual and a modern take on their iconic red stagecoach. While the San Diego Metropolitan Transit System operates many different models of streetcars, I chose to base my design on their newest model, the modern Siemens S70 light rail vehicle. The model was built over the course of three days and placed on display at the San Diego Convention Center for a short while thereafter. This sculpture is over 6 feet long and has all the details of the real trolly, including the seams in the body panels, buttons for opening the doors, and all kinds of random gizmo doohicky train move-makery.